My holiday week was intense and, among many other things, I took the opportunity to drag Jon to one museum after another, to be more accurate three museums in nine days. The Prado Museum was the first one. I have family in Madrid and still I’d never visited the museum. We were spending the weekend in Madrid, so that was a visit that we couldn’t ignore. 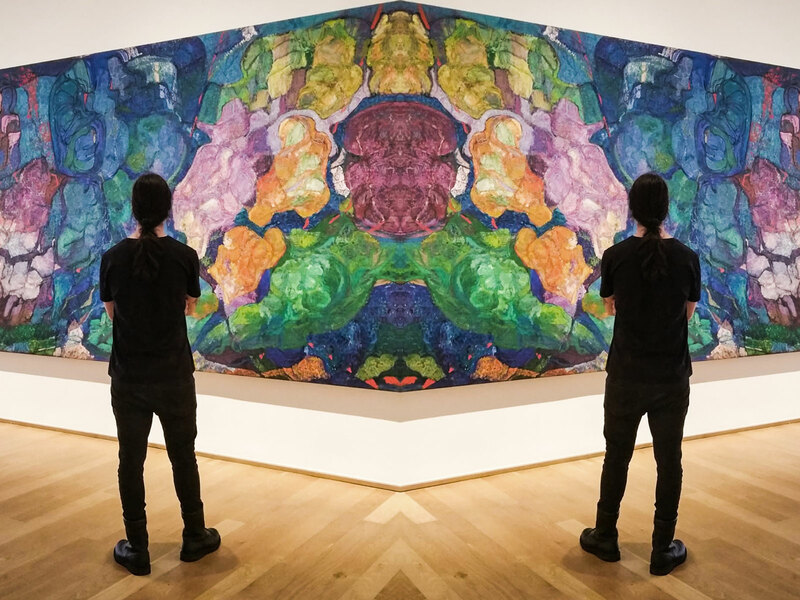 It is an immense museum that owns some of the most important works of art. 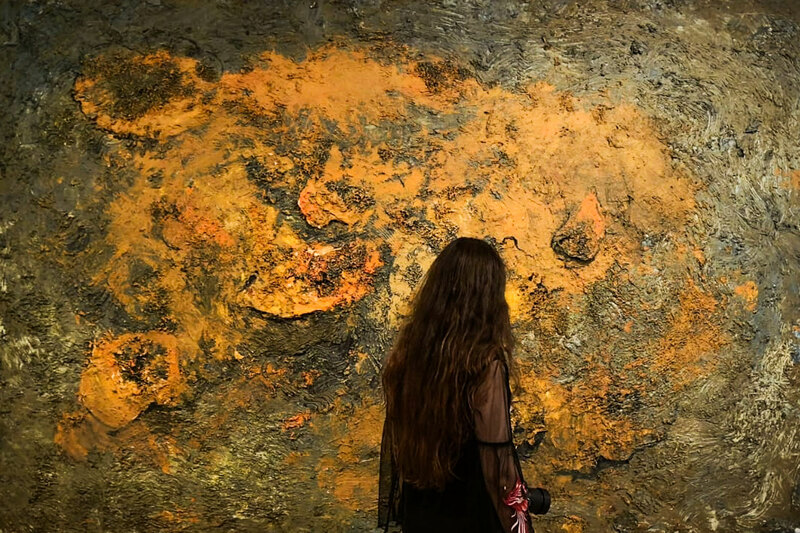 Renowned artists such as Velázquez, Goya, El Bosco, Caravaggio and El Greco have works exhibited there. 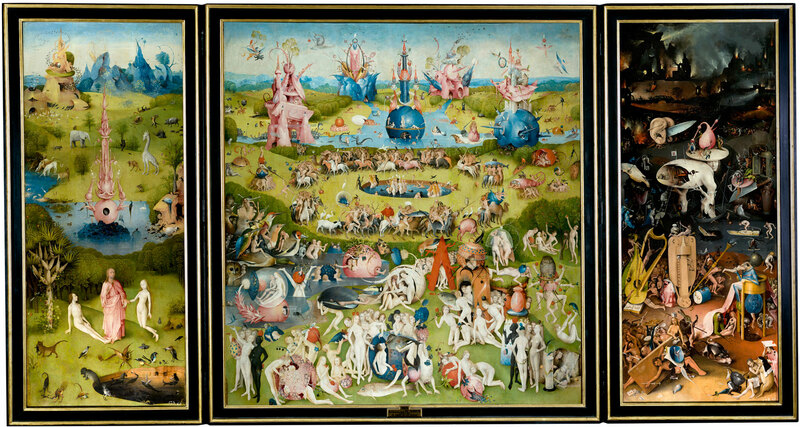 “The Garden of Earthly Delights” of El Bosco left me speechless. I stood a long time in front of it without being able to take my eyes from its bright colours, because the more you look at it, the more fantastic details you discover and the more it amazes you; it leaves you wondering how he was able to paint something like that in his time. Impressive, fascinating and full of colour and magic. Without a doubt he has become one of my favourite artists. 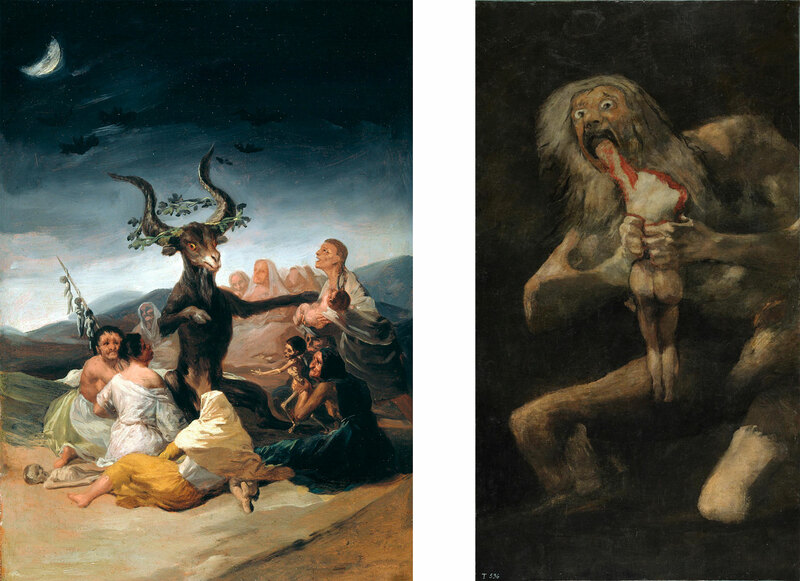 The other author who captivated me was Goya with his black paintings, especially “The Witches Sabbath” and “Saturn Devouring his Son”. It is very interesting to see the drastic and chilling change that his pictorial style suffered throughout his life. The Museum of Fine Arts of Bilbao was the following one. On our trip to Bilbao we had a more or less free afternoon and decided to go and pay it a visit. Unfortunately, most of the temporary exhibitions were closed due to changes and vacations, but it was still worth it. And the best thing is that there we could take photos and videos and soon I will be able to show you something! There was a large number of works by local artists, which I think is wonderful, among them Zuloaga who now has an exhibition in Valencia that I am definitely visiting. There was a large number of works by Gauguin and some by Sorolla. And then some pieces of modern art that included a spectacular video art exhibition. Finally we visited the Guggenheim. 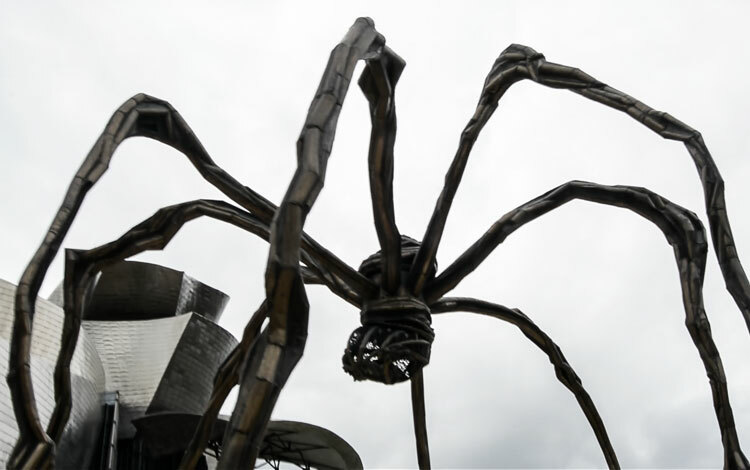 I had already been to Bilbao once and I couldn’t visit this museum then, so it made me sad to think that I was there for a second time and I won’t have time to see it. Luckily we managed to make room for it in our busy tourist schedule and we spent a couple of hours there. As soon as you enter you find yourself with the permanent exhibition that is, at least, curious. Then, with a little hurry because that same night we took the bus back home, we visited the three exhibitions they had at the moment. Joana Vasconcelos and her large scale art from everyday objects. It was funny and interested to see things like a giant gun made out of old phones that rang from time to time, a gigantic chandelier made with tampons or some great heels made with metal pots. The second exhibition was called Art and China after 1989 and, honestly, it was the one we liked the least. And the last one was Chagall’s modernist paintings full of colour. I think that of the three museums the Guggenheim was the one we liked the less, in my opinion it has had better exhibitions at other times, but even so it is a worthwhile visit.